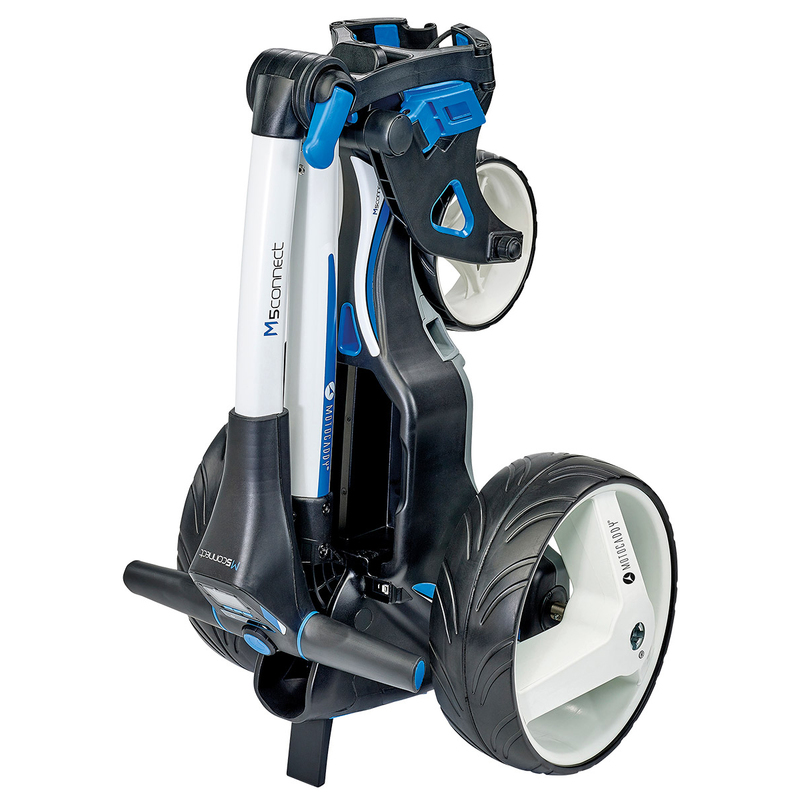 The 2018 Motocaddy M5 Connect trolley features a simple to use sporty design, with SlimFold compact frame, plus is the worlds first compact folding GPS enabled electric trolley, to keep you updated with the latest course information. 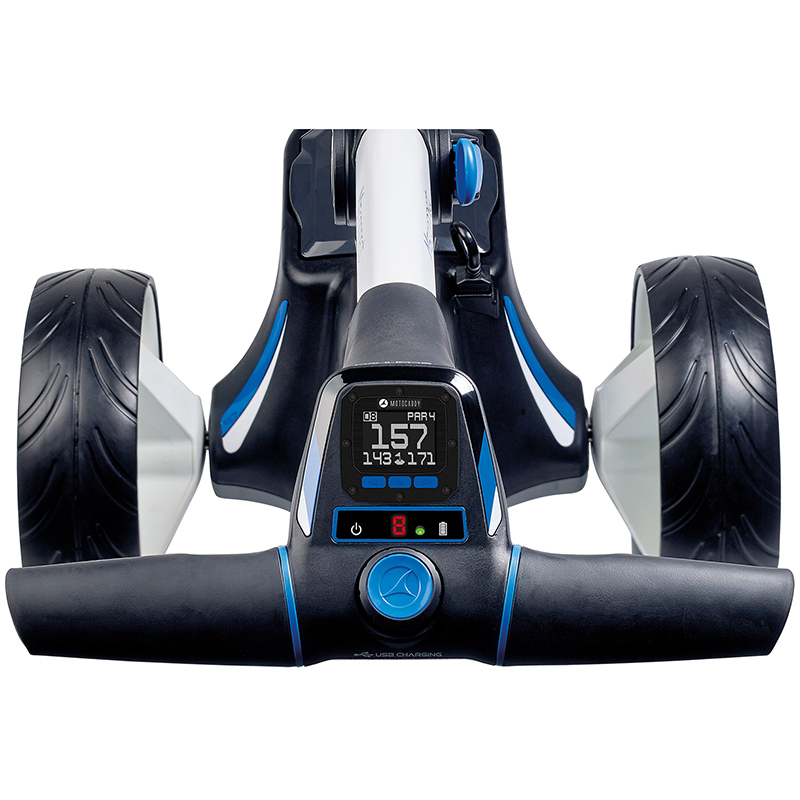 This trolley features an easy to read digital display with GPS, offering front, middle and back distances to the green along with par of the hole and clock. 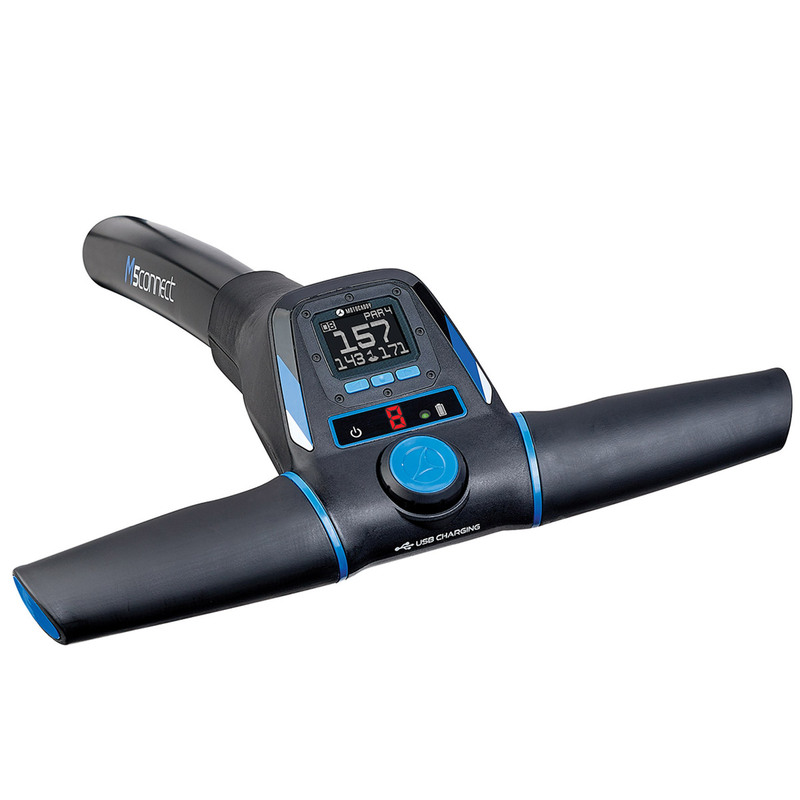 It also features a round timer plus shot measurement, fully controllable from your soft touch trolley handle. 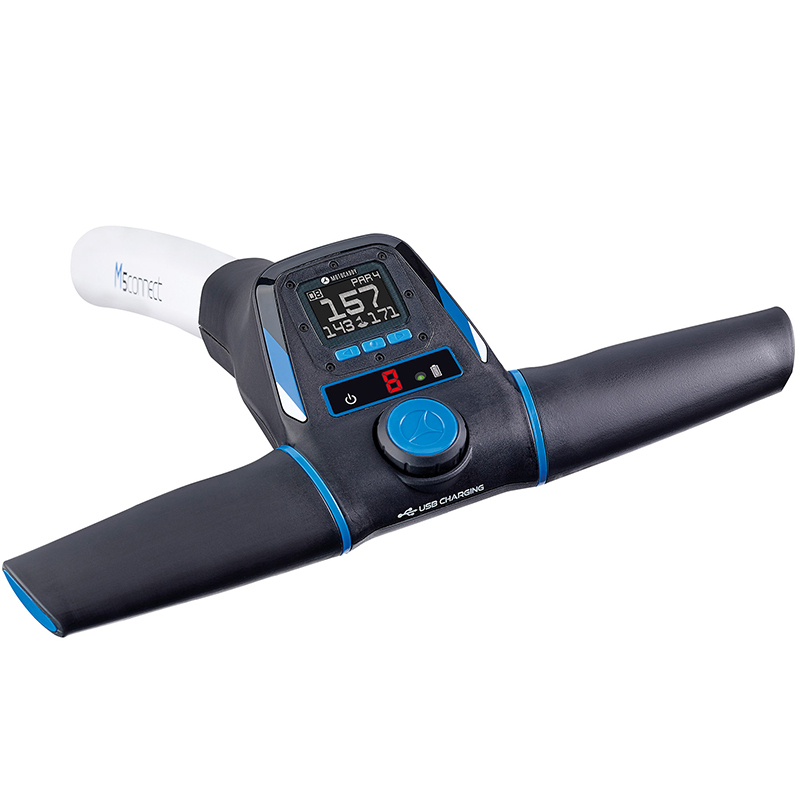 You can also stay connected via a Bluetooth® to your smartphone, alerting the golfer of a missed call, text, email or range of app alerts, including WhatsApp and Facebook. 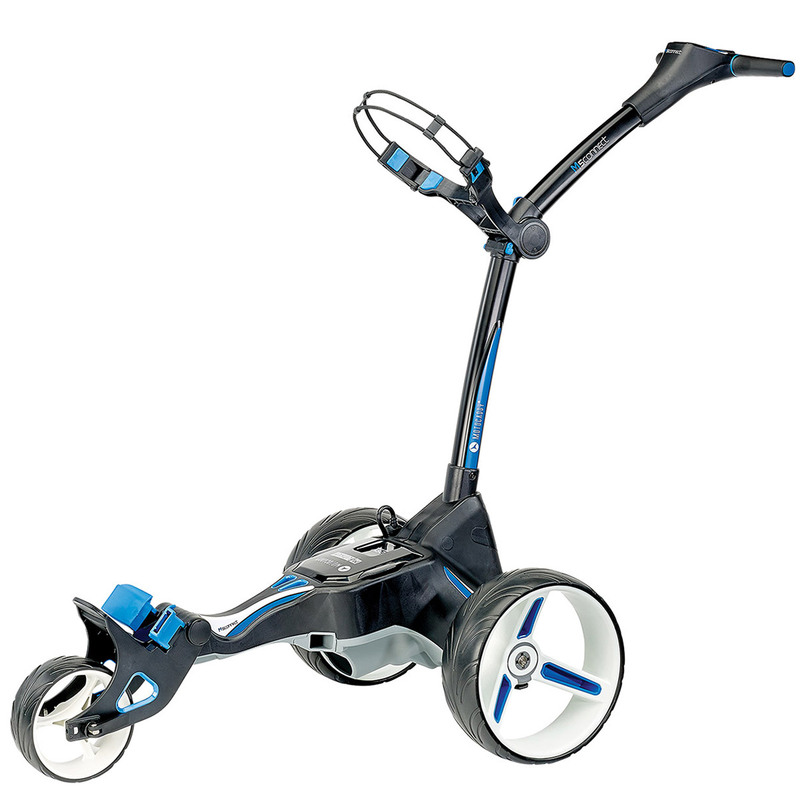 The M5 Connect trolley boasts a high performance Lithium battery which works brilliantly to conserve energy, for long lasting durability. 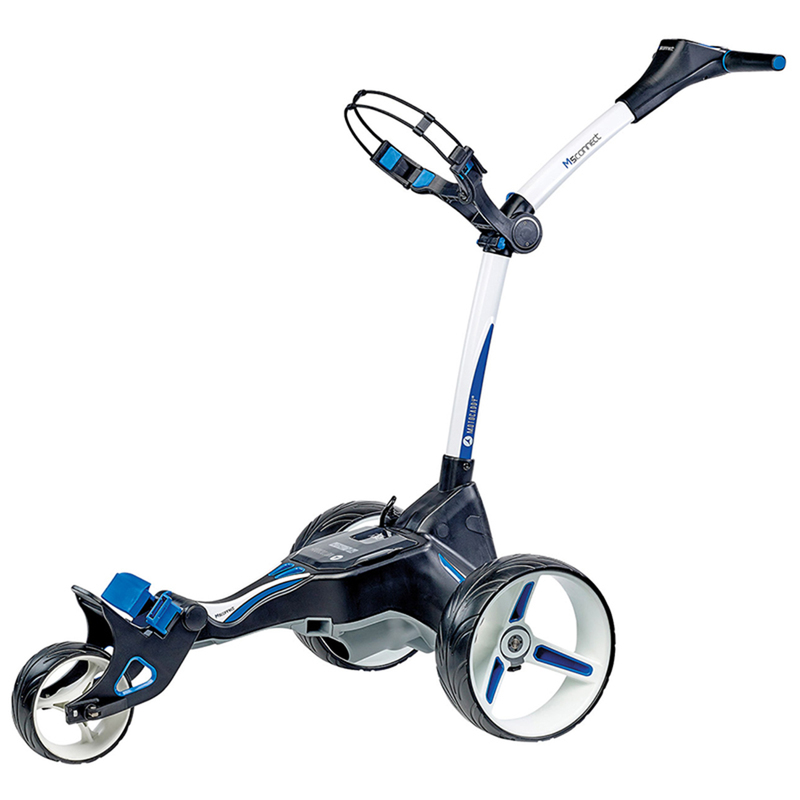 Plus features a powerful whisper quiet 230w motor to ensure you have more staying power, and a high power 28V system to complete your round of golf. For added convenience the trolley features onboard charging, so there is no need to remove your battery, and has a USB charging port. 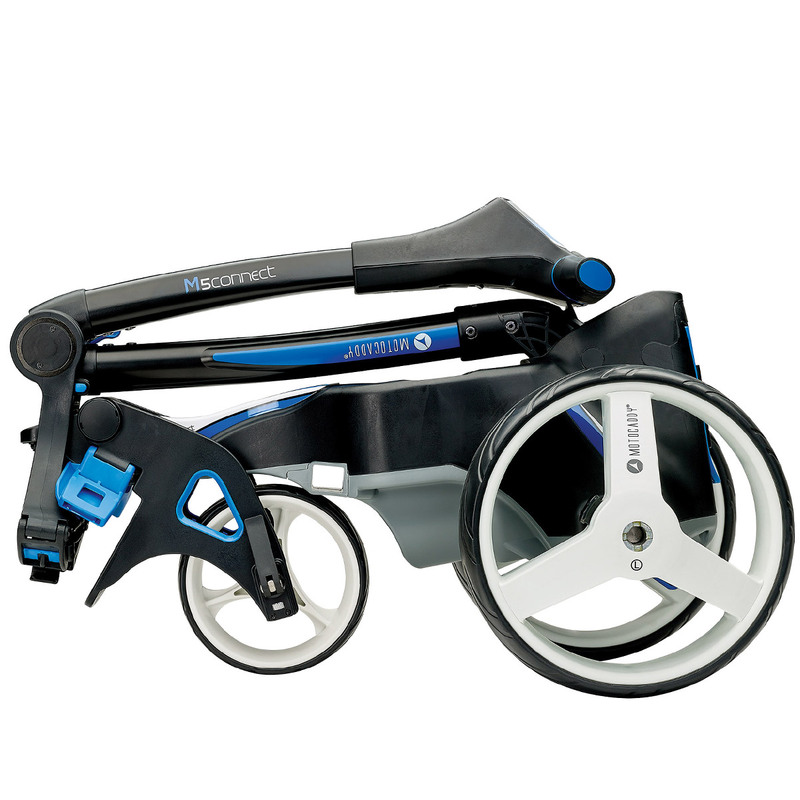 This unique trolley has simple to fold design, and has space-saving inverting wheels that offers a 11% smaller fold, to fit into the smallest of spaces during transportation. 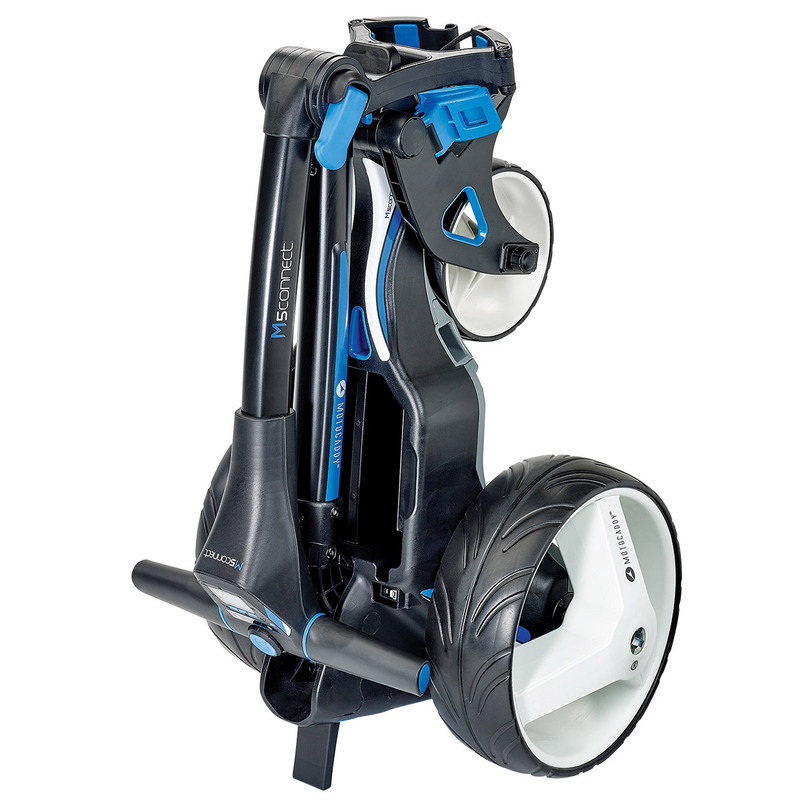 EASILOCK technology is featured across all new Motocaddy trolleys and bags. 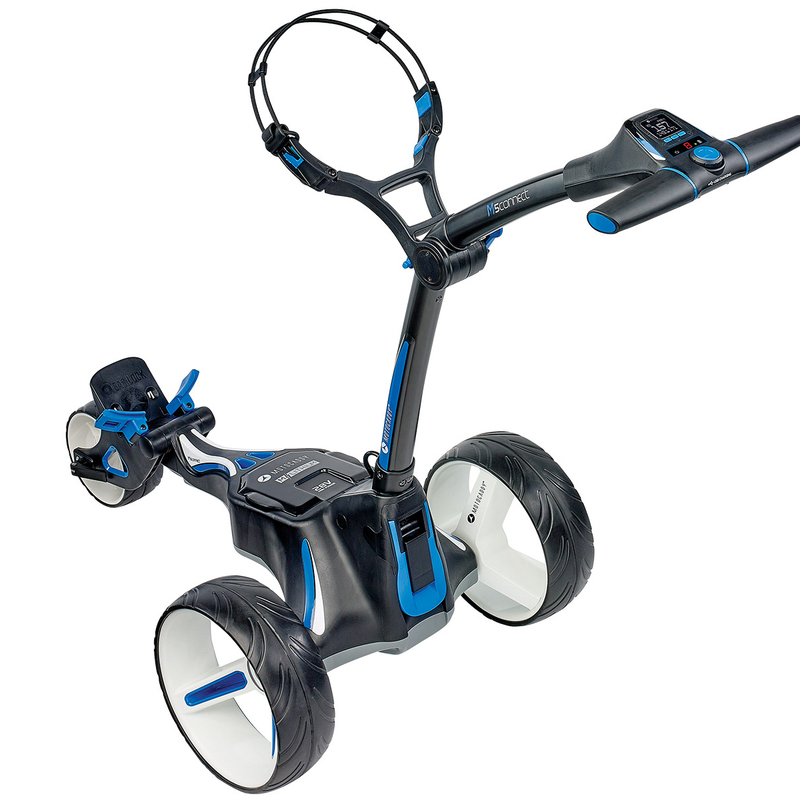 This design provides you 2 holes at the base of the trolley which are perfectly aligned with the 2 pins at the bottom of a Motocaddy bag base. This securely locks the bag into the the trolley removing the need of a lower strap. 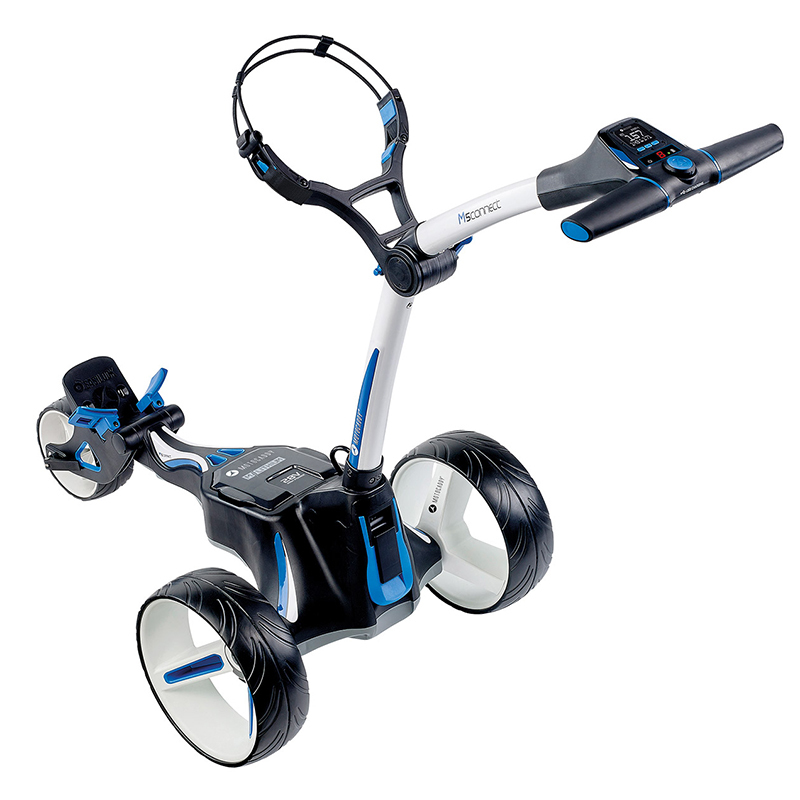 This trolley does include a detachable bottom strap, for use with any bag.